Some call this guerilla marketing, some would call it Newsjacking... 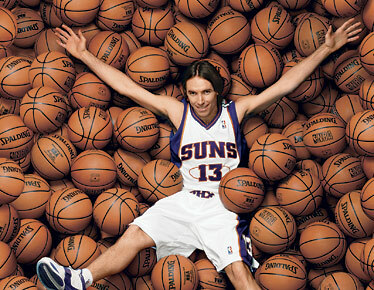 But for those who follow the movements of this marketing (and basketball) guru, this is just vintage Steve Nash. In this video, Nash uses the announcement of being traded to the LA Lakers to launch his New Team New Company on YouTube. Naming his video in this way will cleverly capitalise on the inevitable search traffic surrounding such a high profile NBA all-star partnering up with multiple finals MVP Kobe Bryant.